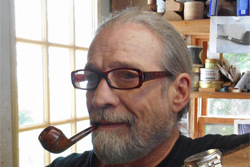 For the second installment of our series on unsung heroes of the pipe world I emailed Russ Oulette and asked whom I should be talking with at Pipes and Cigars for the series. He wrote back and said the obvious person is Dan Chlebove. 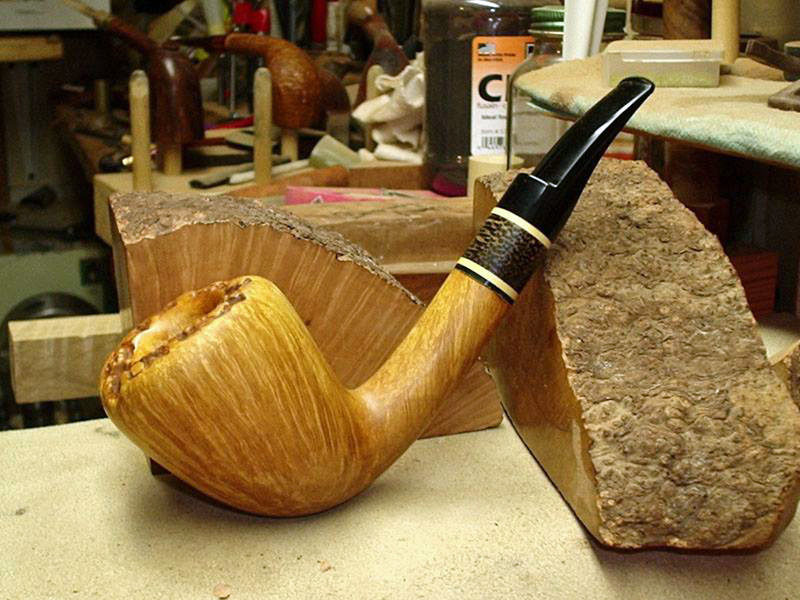 When I got Dan on the phone he was smoking some Dunhill Elizabethan in a Gabrieli Devil Dog (think a combo of a bulldog and a devil anse nose warmer) he’d made himself. For some reason, I simply can’t get any further in a conversation without first picturing the pipe and the aroma in the air for the talk we’re having. While it’s happening over the phone, the details matter. For example, knowing he drops in a bit of Daughters and Ryan Picayune to his Dunhill Elizabethan is somehow that little extra detail that tells me just enough about who Dan is. Now we can continue. It is through Dan’s hands at Pipes and Cigars that every single pipe passes on its way to being listed on the website. Either this is because it’s a new pipe and he’s taking the measurements, or because it’s an estate pipe and he’ll do the repair work necessary to get it back in smokeable shape. 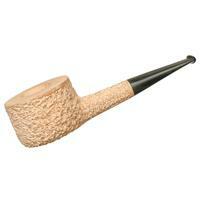 But in addition to his work at Pipes and Cigars many people know him better as the man behind Gabrieli pipes. Some have wondered why the name sounds like it comes from the Italian tradition with a name like Gabrieli—while Dan is a fan of Italian pipes (and that has some effect on the naming), the line of pipes is named as they are in honor of his son Gabriel. The first pipes were being turned in his garage while his wife was pregnant with Gabriel and he needed something to fill his time. 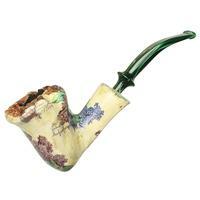 He had already been buying a few pipes on eBay and restoring them just as a hobby to keep himself busy. Pipes and Tobacco Magazine was running a contest at the time and Dan said, "My father was a carpenter cabinet maker, so I was growing up with tools and woodworking from an early age, and I thought I could do this. 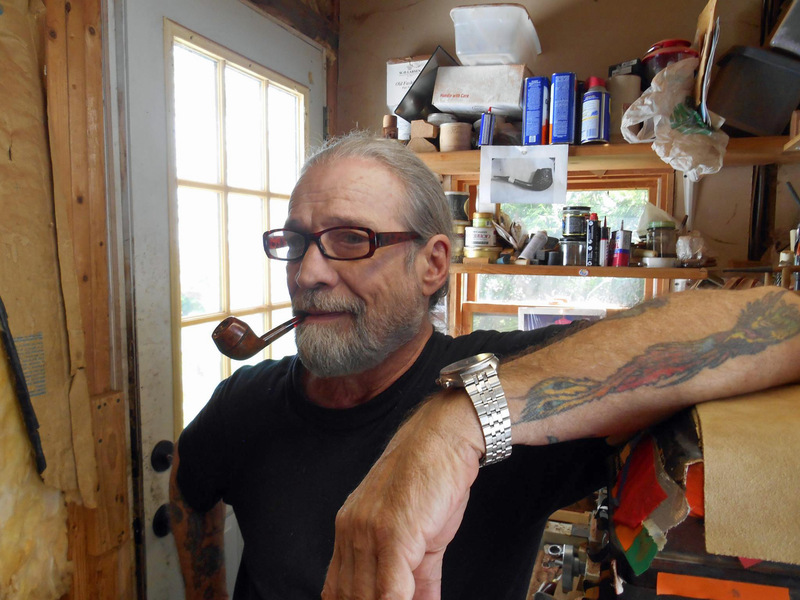 Being a pipe smoker at the time I always wanted to do it and I said, ‘I think I can carve one.’ And I sent two in for that original contest and I got an honorable mention for those two." A few years later there was another contest with the same magazine and this time it was a dual contest for amateur and professional pipe makers (in different categories). The difference was, if you had ever sold a pipe you had to enter in to the professional category and at this point Dan had sold a few. "I sent in about 6 pipes and 5 or 6 days later I got a phone call and it Chuck Stanion at Pipes and Tobacco Magazine and he said, ‘I remembered your name from the original contest and I opened the box and I had to pick my jaw up off the floor. I have some advice for you—don’t ever quit.’"
And Dan never quit. Life has been a little hectic recently, but in normal life he’s making around six pipes each month, and this is in addition to his day job. As someone who dabbles in pipe making just enough to be interested in the particulars, I pressed Dan a bit on the kind of pipes he favors himself and he mentioned his love of "diminutive pipes." He often makes normal sized pipes (group 3-4) and drills them to the industry standard 4mm airway. But he tends to favor smaller pipes himself (such as the Devil Dog he was smoking when I talked with him) and then likes to drill them with a smaller draft hole. "For a more diminutive sized pipe you don’t need that much of an airway. Especially with a 5/8’s inch chamber like that. I think you would smoke half the bowl in a puff or two with that much of an airway. 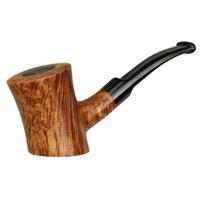 You need a little governor on there for a smaller pipe." The idea of a draft hole as a governor is all too apt of a description. And it was with this in mind that he was telling me about all the pipes that would come through his hands as he was measuring or restoring for Pipes and Cigars. "I’m rather fond of Camoy and older different French pipes," He said. "I used to always open them up and wonder about that small airway. Now I know." And this is how the restoration process at Pipes and Cigars creates a feedback loop with his own pipe creation. To back up further, Dan was a chef for 30 years before he left and did 6-7 years at Walmart followed by electronic recycling. Then, like everything else, that too died out. "And so it was in one of the spaces in unemployment that I was spending more time out in the shop." He was out working on pipes, but he was also getting out of the house. He said, "I would take a double padded pistol case to go to pipe shows or other places with my pipes. I was going to a local pipe club meeting and Russ Ouellete was there. I had met Russ some 2 or 3 years prior to that at the NY show. And he looked at my work and said, ‘Are you selling a lot?’ I said, ‘No, I don’t have a website and I sell some locally etc…’ And Russ said, ‘Let me talk to the guys at work’ and see if I can’t set something up for you." A week later Russ had him come in to Pipes and Cigars and it turns out the buyer at the time was Kevin Getten "I had met Kevin in Richmond in 2004, and no one told me he was the buyer." After a few minutes of talk and sharing his pipes Kevin said, "Not only do I like the work, I want to buy it all." And it wasn’t much later after Dan got home that he got a call from Eric Vernon (the lead at Pipes and Cigars) and he said, "Would you be interested in working for us?" "Well restoring pipes. What you do for yourself." So, Eric went to see what he could do. Meanwhile Dan continued working a day here and day there at a bottling plant that was on its last leg when Eric called him and made a formal offer. "I thought it was a joke because the bottling company just closed up that same day," Dan said. "He wanted me to start two to three days later and I had taken on a commission, I had all this work—I had to take a week or two get the commissions out of the way. Then I was hired here and I haven’t looked back. That was like 3 years ago last week." Today, as mentioned before, every single pipe goes through Dan’s hands at some point at Pipes and Cigars. I asked Dan about this and he said, "As a pipe maker which, let’s put everything aside, the new pipes, the refurbishing, as an artisan—as a pipe maker—my day of work gives a very unique perspective." He pointed out that once in a while a person may go to a pipe show and get to go from table to table and look at this or that. But he gets to do it every day in incredible quantity. "I believe what I do is a tactical form of art. Something happens when I touch things that I can’t get from a computer screen or book. And when I handle and feel so many different pieces throughout the day, there is a piece of transcendence, there is a piece of magic that transpires there." Dan told me he’s surrounded by people who care about pipes and care about tobacco. Pipes and Cigars is owned by Cigars International and they’re working in the same office together. 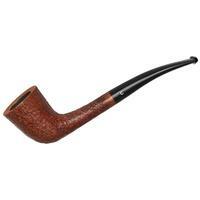 Sometimes the pipe guys are trying out new cigars and sometimes the cigar folks are trying a new pipe blend. Everyone draws on each other’s knowledge. I, for one, love the idea that there is an artisan pipe maker looking over every single pipe that passes through Pipes and Cigars. He’s sizing it up, he’s taking the dimensions for the website. But he’s also learning to be a better pipe maker just by observing and holding so many of these pipes. As a result, Dan is improving his art as a pipe maker and he’s better understanding his role as a pipe restorer. "The whole rest of the world is anti-smoking, and anti-tobacco. And 24/7 I’m involved with it. It’s something that I love and everyone that is here loves, whether it be on the cigar end or the pipe end. I happen to appreciate both." 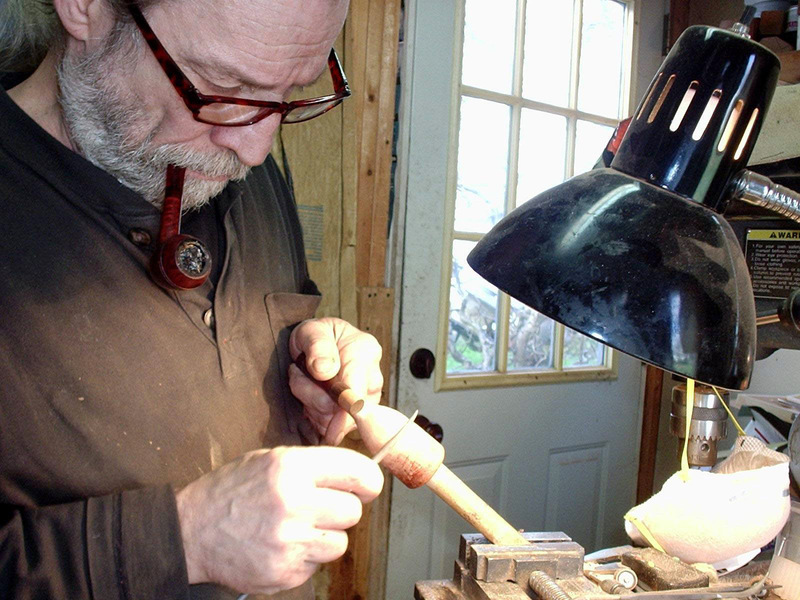 And that is Dan in the pipe world—carving, measuring, and restoring. 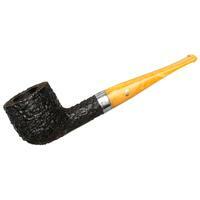 Knowing that the pipes we buy from Pipes and Cigars are handled with care and the eye of a carver. It reminds me of what he said, "And when I handle and feel so many different pieces throughout the day, there is a piece of transcendence, there is a piece of magic that transpires there." Dan is the nicest guy to talk with. Just a super friend. I have three of his pipes, and I wouldn’t ever let any of them go. They are my favorite smokers. He knows his stuff when it comes to pipemaking and pipes. Dan’s pipes are exceptional. Beautiful pieces of art and amazing smokers. I now have 6 of Dan’s pipes. The great thing about him is that once a basic shape is decided upon I let him run with his ideas. I’ve always been amazed and thoroughly satisfied by what he brings me. It’s especially gratifying to see a personal friend featured like this. Well done Pipes Magazine. I have two of Dan’s pipes and they rank #1 and #2 as to my favorite pipes. Great pipes provide great smokes. Thank you Dan for your exceptional pipes. Hope to purchase more i the future.